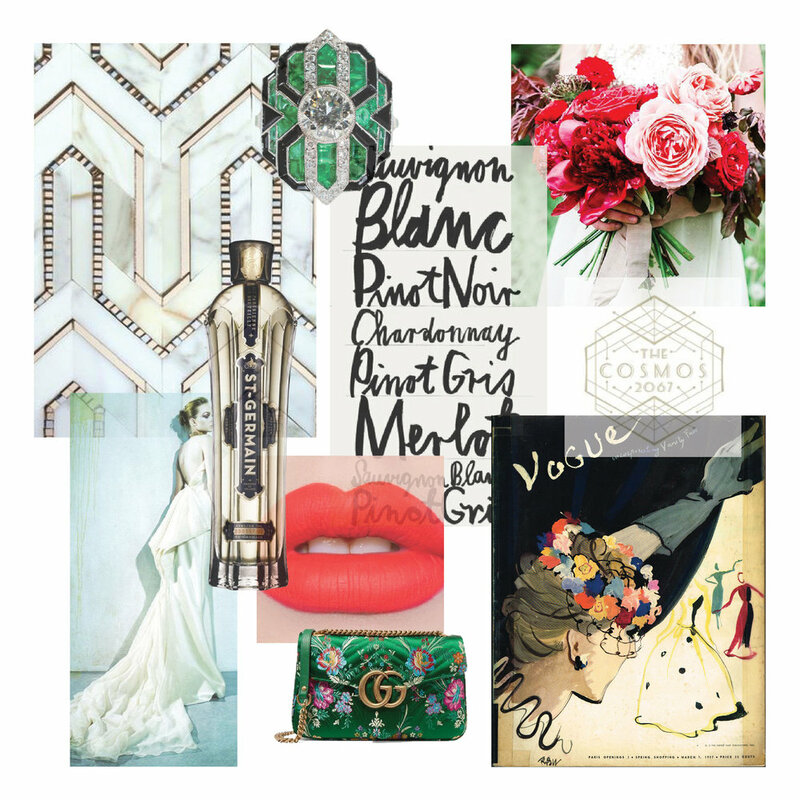 Old Hollywood-inspired, glamorous details, and bold and metallic color palette. We're pretty partial to this wedding (because it was our own!). The inspiration for our wedding, and subsequently our stationery which was far more important to us than it is for most people, was Old Hollywood. We wanted glamorous, bold, celebratory, metallic details everywhere we could put them. Our stationery was no different! We decided upon a black invitation rather than the traditional white or ivory. The invitation had both gold and black foil stamping and featured hand-lettered names in my handwriting. 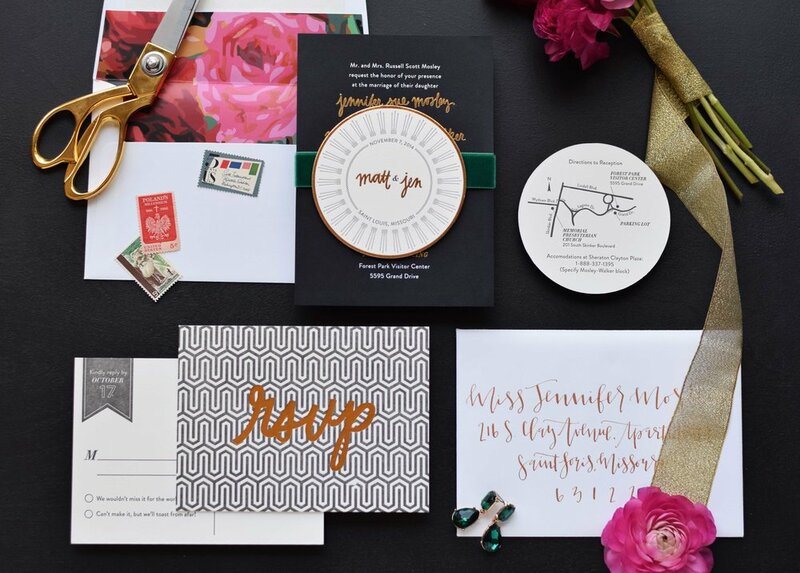 The RSVP postcard, which had both gold foil stamping and letterpress printing, showcased more hand-lettering and a bold background pattern. We packaged up the invitation suite with a "details coaster" (also letterpress printed and gold foil stamped) and velvet emerald green ribbon belly band. Finally, we created a custom floral envelope liner and had Lauren from A Fabulous Fete work her calligraphy magic on addressing everything. We absolutely loved the final outcome (but we're sort of partial!)! To see more of our wedding stationery, click Jennifer and Matt in Our Portfolio.